SEO is very important to rank higher in search engines. Organic traffic is still considered the best traffic source for a website which can be achieved only by doing better SEO. WordPress(self-hosted) offers great customization features to bloggers especially for those who are not tech savvy. When I say self-hosted, I am talking about WordPress.org and not blogs on WordPress.com. If you already started a blog on WordPress.com and want to move to self-hosted WordPress, you can refer to this guide that helps you migrate to self-hosted WordPress Blog without any downtime. Here is best SEO plugin for WordPress that beats all other SEO plugins available in terms of features and ease of use. Yoast SEO is one of the most popular SEO plugin available for WordPress users. Not only popular, but calling it the Best WordPress SEO Plugin would be a justified statement. In this review, we are going to take a look at the features and use of this plugin. Why do I Need an SEO Plugin? There are hundreds and even thousands of websites being created every day. The competition on the internet gets more fierce with the addition of new websites. To rank well among your competitors, you need better SEO of your blog. There are thousands of websites competing for a single keyword and there is only one appearing at #1 in search results. That is the one with best SEO practices. On-page SEO is not the only ranking factor, but it is one of the major factors that decides your blog rank in SERP. One of the most useful features offered by Yoast SEO is content analysis. Optimizing your posts for keywords is very important and this is what on-page SEO is. Yoast SEO takes care of on-page SEO for your blog posts. All you have to do is put your keyword in the “focus keyword” field and then get all those lights green. Thought all green lights suggest your content is good, you should avoid keyword stuffing and un-natural use of keywords inside sentences. You may use variations of your focus keyword if it doesn’t fit in naturally at some places. One more thing, do a google search of your focus keyword, and scroll down to “Searches related to” section. Try to use at-least 1 or 2 keywords from this section in your post body (only if they fit in naturally). If google thinks they are related, you should to. 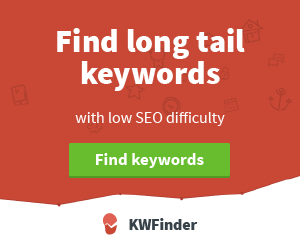 Yoast SEO now checks for readability of your content as well. It is a very useful feature as content with bad readability is going to annoy readers and content that good readability is definitely going to win hearts of your audience. Some of the metrics used to analyse readability of content include Flesch Reading Ease test, use of active/passive voice, length of sentences and paragraphs, etc. Yoast SEO allows to easily configure title and meta tags for pages and posts on your website. Using this tool, you can easily configure title and meta tags for blog homepage and other pages well. Yoast SEO also allows site owners to configures for taxonomies i.e. tags and categories. You can also noindex your tags and categories if you don’t google to index them. This is another interesting feature packaged in Yoast SEO. If you are using content that has been already published on another blog, you can simply “noindex” your post so that search engine doesn’t index it. In this way, you can provide interesting content to your regular readers without letting search engines know that you published it. In simple words, using “noindex” makes sure that search engines don’t index your blog post or page. Yoast SEO takes care of canonical link elements across the site. This lets search engine understand which content should it index and which to ignore. e.g. Archive pages contain link to your posts. Yoast SEO tells search engine that the posts listed on archive pages are canonical links pointing to original blog post. Yoast SEO allows to configure open graph meta tags for Facebook and Twitter. Using social sharing settings of Yoast SEO, you can easily configure Title, Description and the Image you want to use for social sharing. This allows you to select different image and descriptions for social sharing for different type of audience. XML sitemap helps search engines understand the structure of your website. It contains the links that are available to search engines for crawling. When you are using Yoast SEO, there is no need to install any other tool for generating Sitemaps as Yoast has got you covered. Having these amazing features make Yoast SEO an essential WordPress plugin for every blogger. You can easily create your sitemap at a single click. You can select what you want to include in sitemaps and what not. I would normally include only posts and pages in sitemap. I don’t include media attachments, tags and categories in sitemaps. However, some bloggers recommend including categories in your sitemaps. Once you have created your sitemap, you can submit your sitemap to Google and Bing by creating an account on Google webmaster tools. Yoast SEO comes in free as well as premium version. Most of the bloggers, including me, use Free version as it does all I need. The ownly downside to using free version is that you won’t get any support. But that isn’t a big deal as there is detailed documentation available plus there are a lot of tutorials available on the internet. This is what makes it best SEO plugin for WordPress as it offers all these amazing features for free. One of the main feature I like in Yoast SEO premium version is that you can optimize your content for multiple focus keywords. This helps when you are writing well-researched lengthy content. The premium version costs $69/year and can be purchased here. Yoast SEO is the best SEO plugin for WordPress. It offers amazing features like content analysis, generating XML sitemaps, and much more. It is user-friendly and has detailed documentation available for beginners. It is a must-have plugin for every blogger.